I call myself bicoastal because I grew up on both sides of the country. I was born in California and spent most of my younger years in La Jolla. However, my mother was a Washingtonian. She missed the east and once or twice a year, we would fly back to stay with my grandmother in Washington, D.C. It was another world from what I was used to in La Jolla. The chauffeur would pick us up at National Airport and drive us to her luxurious apartment building on Connecticut Ave., N.W. From then on I was catered to, a bit by my grandmother, but mostly by her servants. When my mother and her mother were together, they often spoke French. I believe this was so that I the child would not understand. My grandmother had been educated in Europe. Her father was the United States Consul (now called Ambassador) to Switzerland. She was the only girl in the family, but there were seven brothers. When I was ten, my parents divorced. From then until her death, my mother and I spent every other year in Washington, D.C. In 1954, while we were in La Jolla, my grandmother died. I was sent to The Bishops School as a boarder. I loved being with all the other girls. It is lonely being an only child. The following year, we were back in Washington. In 1959, I talked my mother into allowing me to return to La Jolla to attend The Bishops School as a senior. After graduation, I was introduced to the young man who would become my first beau and much later my husband. Then it was back to the East coast. While my mother was settling into our house in Georgetown, I was up in Poughkeepsie, New York, enjoying my first year at Vassar College. During the Christmas holidays, following in my mother’s and grandmother’s footsteps, I was presented to Washington Society at a Debutant party. Seven months later, my mother died. Left alone, I remained in Washington for the fall semester taking courses at the Institute of Languages and Linguistics and at Georgetown University before returning to Vassar to complete my sophomore year. The following September, after a summer term at Catholic University, I traveled to Belgium to study Philosophy (in French) at the Catholic University of Louvain (Université Catholique de Louvain, Institut de St. Thomas d’Aquin) where I received a diplôme. I spent a winter and spring in Rome and enjoyed the company of the last surviving relative on my mother's side, Msgr William Hemmick, the only American Canon of St. Peter's and my great uncle. Returning to Washington, I attended Trinity College and worked for the Evening Star Newspaper. Before my studies were completed, I was married. I had three children, but when my youngest was two, the marriage became intolerable. Divorced and a single mother of three, I began Skip A Rope Farm, a Thoroughbred horse business. My children participated in the care, management, and showing of our horses while our trainer, Eddie Gregson, took two of our horses, Patty Petrone and Risky Ronnie, to the track where, despite the odds against such a thing, we won. After we moved the business east, I had the opportunity to return to Vassar and complete my studies for a B.A. degree in Philosophy. When my children were themselves in or preparing for college, I completed a Masters degree. Never satisfied, I gingerly went the next step and earned a Doctor of Philosophy in Humanities, specializing in Creative Arts and Communication. During this period, I also taught at various schools and colleges, started my own business (ReMatch) and wrote for an online magazine and a monthly periodical. Now that my children are grown with children of their own, I am happily married to my very first boyfriend from La Jolla, Steele Lipe. For the past years, I have been able to concentrate on two creative endeavors: writing and painting. Many of my articles have appeared in magazines and newspapers. In the early 1990’s, I had formed a writing class at the Maryland Hall for the Creative Arts (Annapolis) and at the Writing Center, Anne Arundel Community College. As a result of this experience and with the encouragement of Richard Lederer (author and host of ‘A Way with Words’ on PBS), in Dec., 1999, Myth, Magic & Metaphor, A Journey into the Heart of Creativity, (synopsis) was published. One of my paintings appears on the cover. 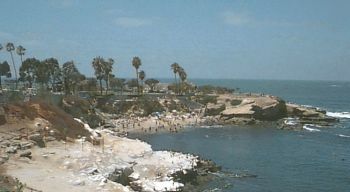 A second book of a different genre, La Jolla, A Celebration of Its Past, (synopsis) was published by Sunbelt Publications in September 2002 as a result of a two year weekly series of articles for Beach and Bay Press (La Jolla Village News) in honor of the Millennium. Written in collaboration with Barbara Dawson (who came to La Jolla in 1920 at age three), this book explores, with text and photographs, the lives of those extraordinary people who made La Jolla so special in the late nineteenth and early twentieth century. It was the 2002 winner of San Diego Book Awards and within less than a year, went into its second printing with a few additions and subtractions in the text as a result of my receiving additional information at book signings and lecture tours. In appreciation of La Jolla’s past, particularly in the field of the arts, I instigated an annual event called Arts in Concert featuring music, painting, poetry and books of all genres. This event celebrated the first concert in La Jolla performed by Anna Held in 1894. We enjoyed three years of this tradition before I left for the East coast. I also created a new tradition in La Jolla called Arts in Concert. Begun in the millennium year 2000, Arts in Concert celebrated the arts in all its facets, from artists to poets to musicians. Also included were the culinary arts which the guests could enjoy as they looked and listened. This tradition has continued in a somewhat different form under the auspices of the La Jolla Branch of the National League of American Pen Women of which I was once President. A historical fiction, Forbidden Loves, Paris Between The Wars, (synopsis) , published by JADA Press, based on my mother's life, is the result of over fourteen years researching and writing. In 2002, I was elected President of the National League of American Pen Women (NLAPW), La Jolla Branch. I will continue my membership but had to relinquish my duties due to our move. In early 2004, I was presented with the 2004 "Woman of Achievement" award by the La Jolla Branch. Moving to the Northern Virginia area, I joined the Washington, DC Branch of NLAPW and served as President 2006-8. I am not exactly an only child for I had a half brother who was 16 years my senior. Therefore, with the difference in ages, I was essentially an only child. My brother, Peter Shaw Thacher(1926-1999) was born in New York City, served in the US Navy during World War II attending Dartmouth College in the V-12 program, and graduated from Yale University in 1948. From 1948 to 1951 he was employed at the European Marshall Plan Headquarters in Paris, and thereafter served with the Department of Army in Washington, Korea and Japan. In 1956 he was assigned by the State Department to the United States Mission to the United Nations in New York where he served until 1971 as Counselor for Science and Technology, Arms Control, Outer Space and Seabeds. In 1971 he joined the United Nations as Program Director for the United Nations Conference on the Human Environment (June, 1972 Stockholm) and was in charge of United Nations Environment Programme's European Office in Geneva until 1977 when he moved to the Nairobi office where he was Director for approximately 5 years. In 1983 he retired from the UN as Deputy Executive Director of the United Nations Environment Program (UNEP) at its headquarters in Nairobi, Kenya, with the rank of United Nations Assistant Secretary-General. In 1985, the Government of Spain conferred on him the Knight Commander's Cross of the Order of Civil Merit in recognition of his role in creating the Mediterranean Action Plan in the mid 1970s. Since retiring from the UN in 1983, his work with United States National Aeronautics and Space Administration and UNEP led to the establishment of GRID--the Global Resources Information Database. He also served in an advisory capacity to a variety of groups including the World Health Organization, (WHO), the International Union for the Conservation of Nature and Natural Resources, (IUCN), the U.S. National Committee for Man and Biosphere Program (MAB), and the United Nations University (UNU). He was a member of the Advisory Committee on Environment of the International Council of Scientific Unions (ICSU), the Board of Americans for Universality of UNESCO, and the Board of Review of the American Society of International Law, and was a member of the United States Committee of ISCU's Scientific Committee on Problems of the Environment (SCOPE). He was a member of the American Association for the Advancement of Science (AAAS) and the American Society for Photogrammetry and Remote Sensing (ASPRS) as well as a number of natural resource and environment groups. In 1987 he received UNEP's Global 500 Award. He joined the World Resources Institute, a nonprofit, policy-research organization in Washington, as Senior Counselor in the mid 1980s and served as the Senior Adviser to the Secretary-General of the United Nations Conference on Environment and Development (Rio, 1992) Peter died of a brain tumor in 1999, much too young.